Domestic politics in Lanka and imminent Parliamentary elections in India have brought into sharp focus the issue of fishing in Palk Bay. The Government in Colombo seems unable to reconcile itself to conceding a role for the Tamil National Alliance (TNA) controlled Northern Provincial Council (NPC) in dealing with India on this issue; only Ministers from Delhi, Colombo and Chennai, Tamil Nadu State and not the NPC have met on this issue. Recently a group of Lankan fishers from the Jaffna Peninsula met with their counterparts from Tamil Nadu, in India to have a discussion on the issue of alleged poaching by Tamil Nadu fishers in the Lankan waters of Palk Bay. The Tamil Nadu fishers agreed as a confidence building measure, on 13 February, to stay away from fishing in Lankan waters for one month. However, driven by economic hardship, they resumed fishing on 1 March. An International Maritime Boundary Line (IMBL) divides the Palk Bay waters between Lanka and India. The Indian fishers cross the IMBL to trawl Lankan waters. Some 2,000 Indian trawlers poach in Lankan waters with humongous noise and powerful lights, venturing close to the Lankan shore running over smaller Lankan craft and destroying costly nets. Lankan fishers, who were unable to go out to sea to fish in terms of the restrictions imposed on fishing in times of war, now are able to go out to sea to fish in Palk Bay, and there have been clashes between the two groups. During the war, it was the Lanka Navy which clashed with the Indian fishermen, which caused a great deal of resentment. Meanwhile the Rameswaram Police have filed cases (FIRs) against the Sri Lanka Navy and Lankan fishers for attacks on Indian fishers in the high seas of Palk Bay on 3 February. A round of talks between fishers from both sides which was scheduled for 10 March reportedly has been postponed. The Palk Bay extends to around 70 miles and its boundaries are on the North West by the Indian mainland, on the South by the islands of Rameswaram and Ramasethu, a coral reef also called Adam’s Bridge, on the East by the Lanka coast, on the North East by an open passage accessing the Bay of Bengal, which is about 32 miles wide. The Northern part of Palk Bay which opens to the Bay of Bengal is called the Palk Strait. In early times before national borders evolved, fishers and traders moved around exploiting the trade and fishing opportunities with no limitations. After national boundaries came into existence, lax implementation led to flexibility for fishermen and traders, now rebranded as poachers and smugglers, to cross these invisible maritime boundaries. In time population and economic pressure resulted in competition among the fishers of these adjacent nation states. It is over these fishing grounds that the Lankan and Indian fishermen are in dispute. On the Indian side, their fishermen have trawled the bottom feeding shrimp (prawns) almost to extinction. This shrimp fishery was called the Pink Gold Rush and Tamil Nadu fishers made huge investments into shrimp harvesting boats and trawls, which were ecologically non-sustainable, and soon the Pink Gold was exterminated in the Indian waters. Trawling took off in the 1960s in Tamil Nadu. The State Government was very liberal in financing expansion of this unsustainable type of exploitation of Pink Gold. Tamilian big business was also attracted, as the return on investment was humongous. The trawler fleet expanded exponentially, from a few 100 in 1975 to 2,000 in year 2005. There are 10 landing centres, 2,000 plus trawlers; each has a crew of four to five people, 10,000 fishers and 75,000 dependants. At this time the Sri Lanka fishers were not allowed to go out fishing on a regular basis because of the civil war restrictions placed on their movement. The Indian fishers came over and poached in Lanka’s waters. Trawlers from the coastal districts of Tamil Nadu, such as Nagapattinam, Thanjavur, Pudukottai and Ramnathapuram, etc. had a field day in this non-sustainable exploitation of shrimp on the Sri Lanka side of the International Maritime Boundary Line (IMBL). It is estimated that around 2,000 Tamil Nadu trawlers cross the IMBL daily. Tamilian trawlers have been spotted even as far south as Pulmoddai on Lanka’s East coast. Lanka loses, at a conservative estimate around Rs. 4 to 7 billion annually of this Shrimp Pink Gold! There is some anecdotal evidence that the LTTE also used these Indian fishers and their craft to smuggle weapons and fuel, etc., to Jaffna and the Wanni. The Research and Intelligence Wing (RAW) of the Government of India would have seen these Tamilian fishers also as a resource for communication and logistics purposes for their covert operations in Northern Lanka. Early in 2007 the Maldivian Coast Guard sank an Indian trawler, the Sri Krishna, which was allegedly transferring ammunition from an LTTE ship. Inevitably this led to clashes with the Sri Lanka Navy. Indian fishers on the Lanka side were often taken into naval custody for security as well as poaching. This situation was further complicated by Lanka fishers who poached on the Indian side of the IMBL in the Bay of Bengal and the Arabian Sea. However, it is important to remember that these fishers are not from the Northern Province of Sri Lanka, but from the southern and eastern coasts of Lanka who operate multi-day boats in the deep sea. The Indian coast guard arrests these Lanka fishers under India’s Maritime Zones of India Act for violating India’s Maritime Zones. But it should be noted that this is a completely different issue from the issues faced by the fishers in India and northern Lanka on the Palk Bay and the IMBL in that location. Unfortunately, for obvious reasons, extraneous factors have clouded and complicated the real issue; interested parties have tried to bring these issues to the table at the same time! Such is the stuff of international and domestic politics in South Asia, the real issues disappear and externalities rule the day! In Tamil Nadu, this Palk Bay fishing issue is a hot political potato. With the Indian polity federalising, the coalition in power at Delhi depends on the support of its regional Satraps in Tamil Nadu, the Tamilian fishers and politicians exert humongous influence on the South Block (Indian Ministry of External Affairs) in Delhi. The alleged machinations of the devious RAW, in using these Tamilian trawlers for logistic support of men and material to the LTTE, further complicated the issue. The further happenings when the IPKF was in the North and the Indian Navy was throwing around its weight in Lanka’s Northern territorial waters is another story in itself! In the context of a recently-democratically elected Northern Provincial Council in the Northern Province of Lanka and pending Parliamentary elections in India to be held before May 2104, the issue of legitimate fishing and poaching in Palk Bay has become highly politicised. There have been allegations that the leadership of the main Tamil party in Lanka, the TNA, discriminates against the depressed fisher people in the north and does not speak up for their rights. It is said that the only exception is the recently-elected Chief Minister ex-Justice Wigneswaran, who has been outspoken for the fisher people’s rights. But negotiations with India have been at the national political level on Lanka’s side. All this ensured that everything else but environmental conservation and rights of the fisher community on either side of the IMBL were the priority at all relevant times – things like international political leverage, personal animosities, Indian domestic politics, Lankan domestic politics, the status of Lanka’s civil war, took priority at any given time. Indeed there is some bazaar talk among political mercenaries in Tamil Nadu that during the Lanka Army’s humanitarian operation in the north east which ended the civil war, there was a trade-off in order to keep the Tamilian satraps who kept the coalition in Delhi in power quiet: the whole issue of poachers was suppressed. But this is only unsubstantiated ex-post facto opportunist gossip. It is important to remember that this is primarily a humanitarian and economic issue that affects the fisher-folk of northern Lanka and Tamil Nadu. The Lankan fishers say they ‘first fell down from a tree and then a bull ran over them’! From the frying pan into the fire, that is. The Indian fishers have exterminated the Pink Gold on their side of the IMBL, by unsustainable trawling methods. In order to earn their daily bread, they crossed the IMBL, which was not being fished, for security reasons explained above. Officials on both sides of the IMBL, for a variety of reasons, connived and kept quiet. When peace was established in northern Lanka and the northern fishers resumed fishing, they clashed with their Tamilian counterparts. There have been efforts to solve this at fisher to fisher level. Some time ago representatives of affected fishers from both nations met in Colombo, but they were unable to reach a consensus. Prior to that a goodwill mission of Tamil Nadu fishers visited Lanka and met their Lankan counter parts. The visit was facilitated by the Association for the Release of Innocent Fishermen (ARIF). As an interim measure the Indians agreed to stop using environmentally unsustainable types of trawls and to keep their craft at a distance of three miles in Palk Bay and seven miles in the Jaffna-Vadamaratchchi area, from the Lanka coast. In 2010 representatives of Lanka fishers, NGO representatives and two officials of the GOSL Ministry met with their counterparts in Tamil Nadu. This time there were three important outcomes: Both parties agreed that trawling is environmentally unsustainable; the Indians agreed that they should stop poaching in Lanka waters; and the two Governments should monitor fishing activities in Palk Bay through a joint monitoring group. At the official level the two Governments, in 2005, set up a Joint Working Group (JWG). A draft Memorandum of Understanding (MOU) between the Indian Department of Animal Husbandry and Dairying, Ministry of Agriculture and the Lankan Ministry of Fisheries and Aquatic Resources, for development and cooperation in the field of fisheries was developed. The MOU provides for a Joint Working Group (JWG). This MOU was revised in 2008. It deals with matter such as: Release of seized craft, prevention of use of force against fishers, procedure for dealing with arrested fishers and seized craft, salvage of released craft, enhanced surveillance and cooperation in that area. In 2010 the President of Sri Lanka and the Prime Minister of India made a joint declaration, which inter alia emphasised the need to establish the JWG. The issue has been given the classic ping-pong treatment by both the governments and the fishers. A body was discovered five nautical miles off Sri Lanka by a Navy patrol and handed over to the Kayts Police. It was found to be that of an Indian fisher. The bodies of two others, it is reported, were washed ashore near Neduntivu (Delft) and Thondi on Lanka’s coast. All these fishers it is alleged went mission on 2 April. Another body had been washed ashore near Nagapattinam in Tamil Nadu. On that day it is alleged that 634 mechanised trawlers left Rameswaram and only 633 returned. The boat of Anthony of Thangatchimadam was missing. A post-mortem was conducted by Jaffna’s JMO on the body found at Neduntivu showed that the body had injuries, including nail marks on the upper part. The Indian Navy escorted a group of six of the deceased’s relatives from Tamil Nadu and handed them over to the Lanka Navy off the (Neduntivu) Delft Island, in Lanka territorial waters, and they were brought to the Jaffna Teaching Hospital. According to newspaper reports, the deceased’s brother gave evidence to the Magistrate that on the day his brother went missing, he was also at sea and saw a large Lanka Navy boat approaching his brother’s boat. A further complication, also according to the news papers, was that Lanka’s Controller of Immigration has gone on record saying that this method of transport of the deceased Tamil Nadu fishers’ family was a violation of Lanka’s Immigration Law. Sri Lanka’s Minister of Fisheries has complained to the President that the Lankan delegation to the JWG meeting in Delhi recently had failed to raise the issue of Indian fishers poaching in Lanka waters. The Fisheries Minister openly attacked the Foreign Ministry for not giving priority to northern fisher issues and later trying to take the credit for a possible resolution of the issue. 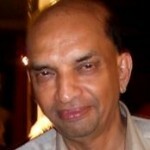 There were claims and counter allegations and claims from both the Lankan Ministries of Fisheries and External Affairs. In 1974 the Lankan and Indian Governments entered into an Agreement ‘On the Boundary in Historic Waters between the Two Countries and Related Matters’. The 1974 Agreement demarcated an IMB equidistant from the shores. Sri Lanka obtained jurisdiction over Kachchativu, a small uninhabited island, where there is a shrine of St. Anthony, which has an annual festival, which fishers from both countries attend, in terms of this. 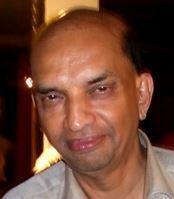 Senior Lanka officials such as former High Commissioners to India, Sir Richard Aluwihare and Shirley Amerasinghe, one-time Secretaries to the External Affairs Ministry, N.Q. Dias and W.T. Jayasinghe, and Legal Advisor to the then Ministry of External Affairs, Christopher. W. Pinto, played critical roles, at various times, in negotiating this agreement with India. Chief Minister Jayalalitha of Tamil Nadu, ‘wannabe’ prime minister of India leading a Third Force of Indian leftists, Hindu heart land, cow belters and Dravidians, has declared that she intends to get Kachchativu back for India from Lanka! Fishers from both countries have not taken these intangible divisions seriously. The Indian fishers and Tamil Nadu politicians always maintain that they should get Kachchativu back and that will solve the problem! They consider the 1974 Agreement as a betrayal of Tamil Nadu fisher interests. The reality is that the waters around Kachchativu have been over fished to exhaustion. Have an Indo-SL joint monitoring, surveillance and control mission for the IMBL. Bona fide fishers in the area should be issued with verifiable in real time on line, smart card photo identity cards ratified by both governments. Fishers arrested for violating IMBL should be dealt with, not by national law, but under Article 73 of the UN Convention of the Law of the Sea (UNCLOS). In each nation a single ‘one-stop’ authority to be designated for dealing with violations of IMBL. ILO’s 2007 Convention on Work in the Fishing Sector should be ratified by both nations, which among other things makes craft owners responsible for their crews actions. Both Governments should set up an interactive joint working platform to work out Palk Bay issues and civil society should be represented on this. This issue needs to be resolved, and fast. National political issues have to be ignored and the rights of the fishers of both nations protected and the fish stocks safeguarded from over exploitation. When will the politicians understand this simple fact? Given the fact that a political party opposed to the party controlling the national Government, the TNA, is in office in the Northern Province and the fact that the Chief Minister of Tamil Nadu is a wannabe prime minister of India at the helm of a Third Force, which will only be propelled to power if Jayalalitha’s party wins a substantial number of seats in Tamil Nadu, the Palk Bay fishing/poaching issue will continue to be a combustible one in Indo-Lanka relations and the political agenda within Lanka and India. Recent developments, especially in Geneva at the UNHRC, have added a new dimension. India abstained from the voting on the resolution calling upon inquiries into human rights violations during Sri Lanka’s conflicts. Lanka, as a response, released all Indian fishers and boats in Lankan custody. So the fishery dispute over Pink Gold has become a pawn in the Geneva human rights traction. A genuine solution to the rights of the fishers on each side of the international line of demarcation seems as far away as the distant golden sun rising majestically over the Palk Bay on any clear morning.